For every household or commercial property, Windows and doors are the unique attractions. Therefore it’s really important that one does take proper steps for designing and decorating the homes with good windows and doors. Here we have for you a quick view on information on thermal break aluminum windows and doors. These surely can be highly beneficial for you. What is meant by Thermal Break? Before going into further details, it is important that we first understand the meaning of the term “Thermal Break”. Although the term break in the name indicates to something a bit negative, it actually is a very positive concept when we talk in reference to doors and windows. In simple words, Thermal break refers to high-quality insulator material that separates the two metal halves, be it bronze, steel or aluminum. It assists in cutting down thermal bridging. When there is no such system involved both heat and cold, easily enters the home interior by bridging (traveling) through the frame. So basically these type of windows and doors frames are made with two polyamides. So this means there are two bars of good quality thermoplastic that interrupts the continuity of the aluminum structure. This is where the name comes from and indicates the capacity of thermally insulating material for breaking the heat distribution flux. One of the important elements of these doors and windows is glass. For improving isolation it has double glazing made of low emission component. For avoiding any kind of rain infiltrations that can occur inside the window fixture, there is an open joint that can drain the water away. 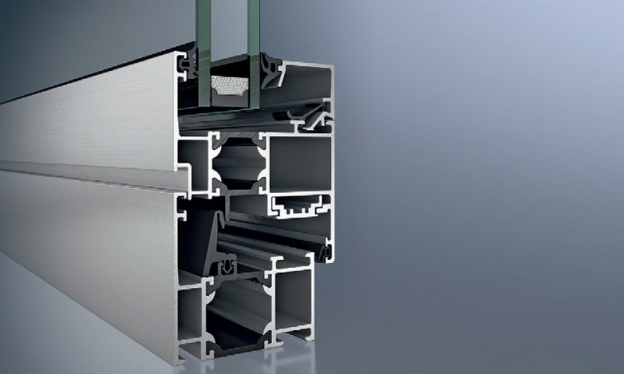 What are the advantages of Thermal Break Aluminium Windows and Doors? In case you had been looking for reasons to include Thermal Break Aluminium Windows and Doors in your home or office, we have all the information you need. When we talk about windows and doors, aluminum provides magnificent physical capabilities. The potential of the design is extensive because of aluminum’s sheer strength. Thermal Break Aluminum are durable and will last for years to come. The main reason being aluminum does not expand or shrink. So all possibilities related to cracking etc are eliminated. Not only does the thermal break aluminium windows and doors offer a modern and elegant look but it also solves all of your problems related to thermal transfer. When heat or cold comes in contact with the outside metal it disperses at the thermal break. In fact, it can conduct noise and heat around a thousand times slower than normal aluminum. Although Aluminum is not the cheapest material. But when it comes to ownership costs, in the long run, it is highly economical. The durability and strength outperform any other kind of window and door material that is available in the market. So for brutally hot / cold days, this is one of the smartest systems that you can have for your home or office.